To “melt”, we use a yin approach. 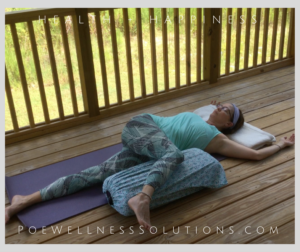 This is my quick overview of a Yin Yoga approach. To learn more check out Bernie Clark’s Yin Yoga. 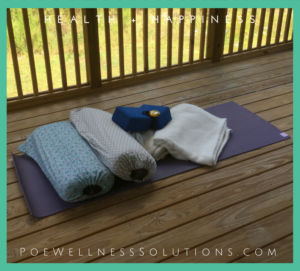 Although fancy yoga props are convenient and fun, most likely every thing you need is available in your home. Be creative! The following is recommended. 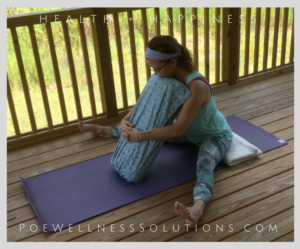 Place bolster length-wise in alignment with your spine 1-2 fists width from you. Lie back on bolster (head supported). Relax muscles and melt into the shape. 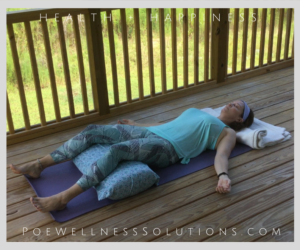 If there is pain in the lower back due to too much compression modify the back support (smaller bolster or rolled up blanket) or prop the head of the bolster at an angle to decrease the intensity. Bolster is propped at an angle to prevent too much compression in the lower back. If there is pain in the neck due to too much compression place support under the neck. When knees are bent and out to the sides, place support under the knees to prevent the legs from “hanging”. Remember: Maintain the edge but prevent unnecessary muscle tightness. Let go! Adjust or exit the pose if any pain, tingling or numbness occur. There may be slight discomfort at your edge but there should be no pain. Either slowly roll to your side and press up into a seated position or tuck chin to chest and roll up to seated. Sit on folded blanket to encourage pelvis to tilt forward. Walk hands forward to explore edge. From a sitting position, reach legs as far apart as comfortable. With hands in front of your torso, walk hands forward until you find your “edge”. Explore the shape. Wiggle around. Snuggle forward. If the pelvis tilts back and your lower back rounds forward, sciatica may be aggravated. 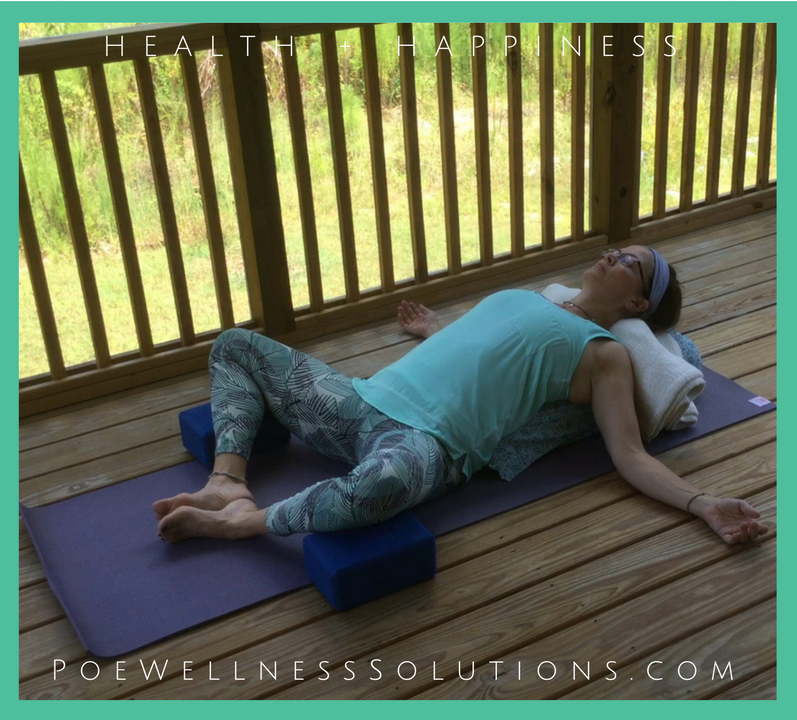 Sit on a folded blanket or block to encourage the pelvis to tilt forward. If lower back issues discourage spinal forward flexion, maintain a long spine and do not round forward. Use props to support your torso. If knee tension develops, bring legs closer together. 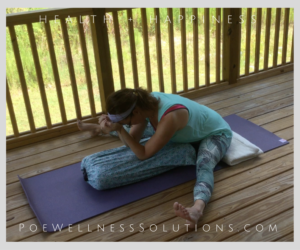 If hamstrings are too tight to fold forward, place support under bent knees. Support weight of head with hands or a block if shape becomes too intense. If spinal forward flexion should be avoided, maintain a long spine and use a prop for support. Role up to sitting. Bend knees. Place feet mat width apart. Windshield wiper knees side-to-side. Cross the right knee over the left. If available wrap the right foot around the left lower leg. Lying on back, bend knees, place feet flat to the floor. Shift hips slightly to the right. Lower knees to left while keeping right shoulder in contact with the mat. Do not push into the twist but relax. Support head/neck to relieve neck stress. To reduce intensity, do not wrap legs. Use props to support knees or shoulders that do not reach or stay in contact with the floor. Skooch around. Move knees closer or further from torso. Shift arms from along side torso to beyond head. Turn gaze from side-to-side. If there is neck discomfort, support head with a blanket. To decrease intensity, do not cross knee-over-knee. Slowly roll to your back. Bend knees. Place feet mat width apart. Windshield wiper knees side-to-side. Hug knees to chest. Enjoy a full-body stretch. Relax shoulders away from ears. Extend arms by your sides, palms up allowing the shoulder blades to lie flat. Lengthen back of the neck by slightly tucking the chin toward the chest. Gently rock your head from side to side to balance weight on the back of your head. Move legs apart wider than hips. Explore the shape. Wiggle around. Let go. To release discomfort in lower back or neck, support the knees and head/neck, respectively. 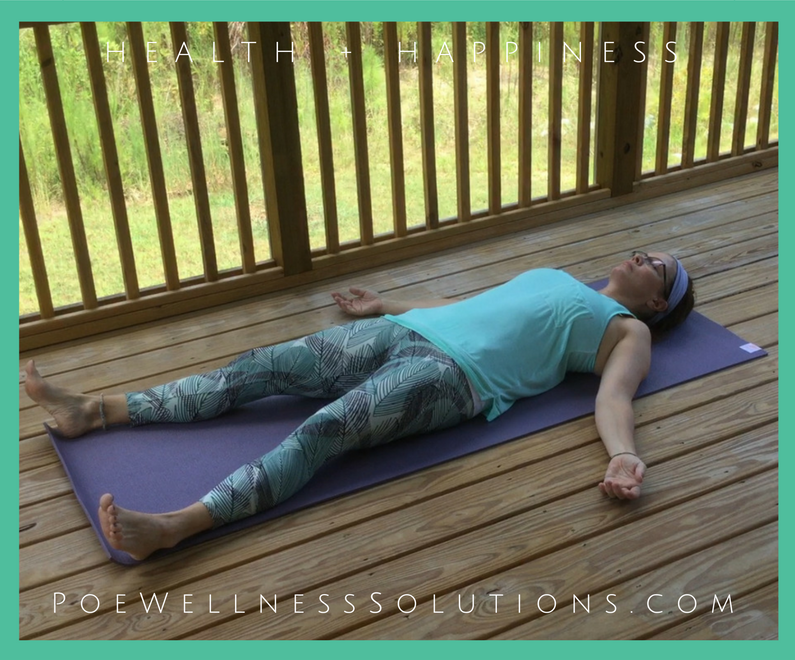 Allow the body to relax and feel heavy. 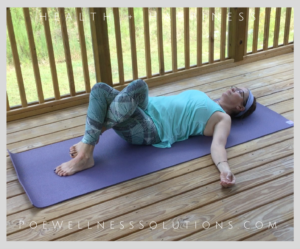 If tension persists in the lower back, bend and support knees. Possibly support your head/neck with pillow or rolled blanket. Adjust or exit the pose if any pain, tingling or numbness occur. 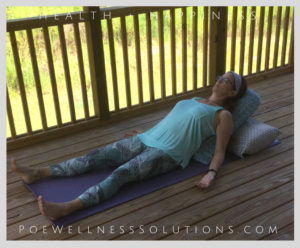 If relaxation has adverse effects (anxiety, panic, drop in blood pressure, dizziness, etc.) seek assistance. 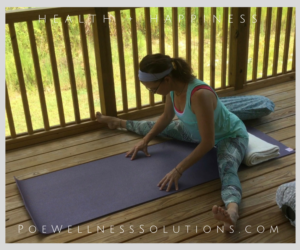 Check with with health care professional before beginning a yoga practice if you are on medications that could impact your response to the practice. Deepen your breath. Bring movement to fingers and toes and maybe roll your head side-to-side. Notice the movement your body wants. Gradually make larger movement. Shift to your side for several breaths and then to a seated position. No stimulation but a time for body and nervous system to assimilate impact of other poses. This is when it all comes together. 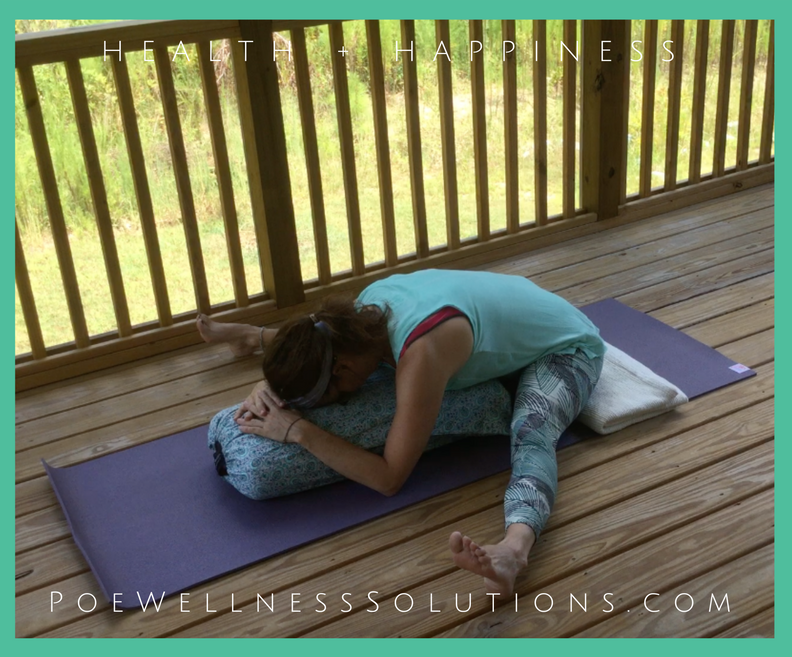 This is the first in a series of posts addressing the benefits and challenges of Yin Yoga. The focus has been releasing tension in the lower back. A Yin practice has physical, emotional, mental and energetic impacts. As with any exercise, pay attention to how you feel. Your body is providing you with a wealth of information. Enjoy exploring all that you can learn about you! 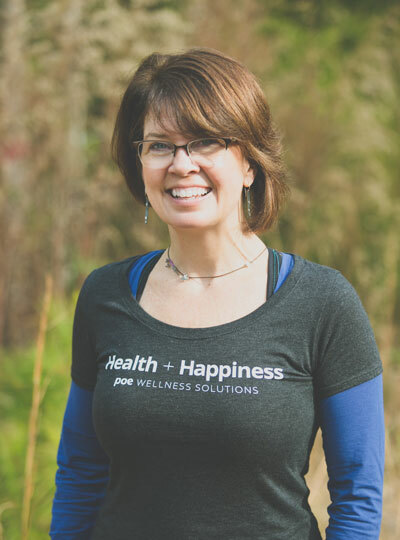 Interested in learning about the Yin experience from Yin practitioners? Check out Yin Yoga: Everything You Need To Know For Success. You may also enjoy Trouble Sleeping? 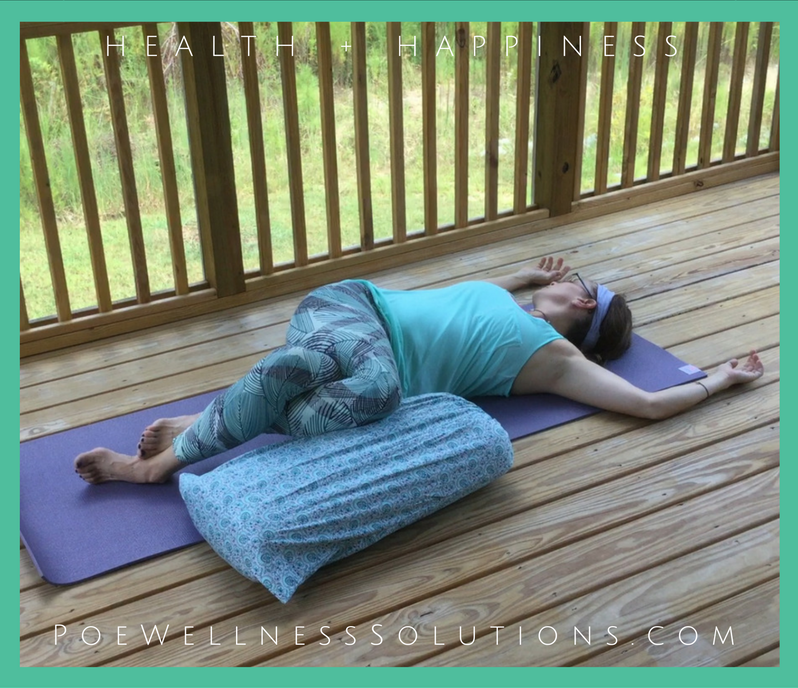 5 Yin Poses That Will Ease You To Sleep and Get Up On The Best Side Of The Bed – 4 Morning Yin Yoga Poses. If you find your mind particularly busy during a Yin posture check out This Is How To Win The Mindfulness Struggle or Five Simple Steps to the Hidden Truth about Mindfulness. Your Yin practice is a great place to work on calming your monkey mind. Let us know what else you would like to know about Yin Yoga. Thanks for breaking everything down into easy steps to follow. I have been intimidated in the past by trying a new yoga position for fear of doing it wrong. I loved how you showed alternatives and how to use the props to help you find the edge. I find that it is hard for really let go while looking at a timer. So instead I hold a pose for the duration of a song. I feel mindful and my low back feels happy. Holding a pose for a song … such a great idea! You are not anticipating an alarm but enjoying a song. Have fun exploring new poses. If you listen to your body and pay attention to what you feel (avoid pain) then I believe you can let go of your fear of doing it wrong. Nice post from you. It’ll help us to achieve the health goal. Thanks for sharing…. Thank you for the comment and kind words. Always great to find ways reach our goals … especially when the steps are simply letting go. Hate to hear about your wife’s back pain. It’s a challenge to know if these are the best exercises for her. I am fan of trying new things to let go of tightness and reduce pain. Encourage her to proceed with caution and pay lots of attention to how she feels. 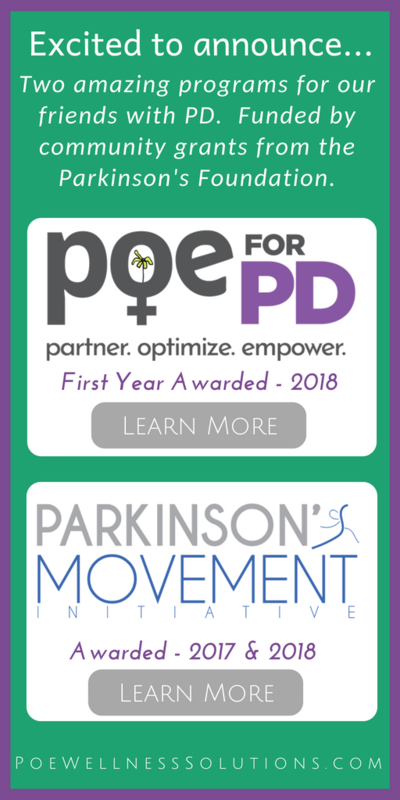 Exit the exercise if she experiences increased pain. Thanks for your kind words about this post. I look forward to sharing more in the future. Thank You for your motivating words. Glad to know the information is helpful. Additional Yin posts are in the works. It is by far my favorite yoga. The act of letting go and not doing is incredibly refreshing (and challenging) as a balance to a busy, doing lifestyle. Thank you for bookmarking. Hope to provide more valuable information soon.